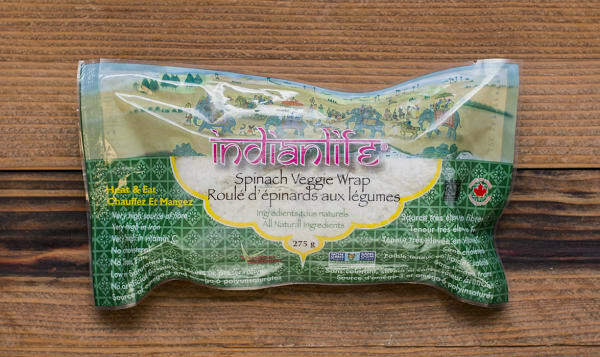 Wrap: Organic whole wheat flour, organic unbleached flour, water, spinach, non-gmo canola oil, baking powder, salt, sugar, vinegar. Filling: Fresh potatoes, carrots, peas, corn, fresh cabbage, green beans, par boiled white rice, wild rice, garlic, fresh red and green peppers, onions, garlic, water, canola oil, salt, green onions, pepper, cilantro, green onions, cilantro, small brown lentil, herbs and spices. If frozen, the shelf life on this product is 6 months. Once thawed, the shelf life is 5 days.